How to Clean Oriental Rugs at Home? Home / Blog / How to Clean Oriental Rugs at Home? An ancient hand-knotted Persian carpet, children, a cat and a dog don’t make a good combination. You have to make a choice between the carpet and the cat. Just kidding! The cat cleans and grooms her face and body while the carpet needs a fortune to be cleaned by professionals. This is a good point, but there many smart ways for cleaning your precious rug without paying crazy prices. But wait, there are people who can think: “Why should someone, who has an ancient piece of art in the house, worry about the money spend on cleaning it?” This is a good point, however there are many who want to know how they can do it by themselves and if you are reading this, it means that you have set your mind to probably do it by your own. It doesn’t matter if you are careful or not, that carpet will need to be cleaned one day. This is the only way for keeping it beautiful and it’s colors alive. Firstly are some things that should be taken into consideration like the age, the material, durability, the conditions of the rug and its value. After a proper evaluation of all these factors, you can decide what to do. Keep always in mind that silk rugs are less durable, but more expensive compared to other wool rugs. The best thing to do is to ask for professional assistance to be sure here. 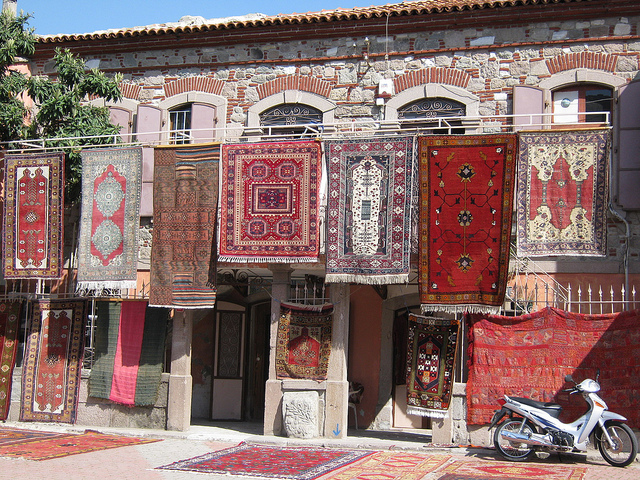 Meanwhile, wool rugs make the most common type of oriental rugs. It can be cleaned easily, and the same values for rugs made of cotton, too. You should make a test in the beginning in order to see if the dyes bleed. If they do, ask for the service of professionals. If your rug is made of rayon textile, in this case it is not a real oriental rug. Though the good news is that you can clean it up by your own. When it comes to the cleaning procedure, you can do it inside your house or outside. Vacuuming is the first step in both cases. Afterwards, you should shake it in order to remove any remained piece of dirt. Place the rug in a flat area and spray it with cold water and shampoo it. Rinse it until the extracted water is completely clean and dry it flat. Now enjoy its presence in your room again!